Thanks to some new pools submitted by swimmers like you, Swimia.com is increasing in the daily number of stored pools. Please do not hesitate to contact us in case you obtain any Kuwait Swimming Pool with inaccurate or incomplete information. 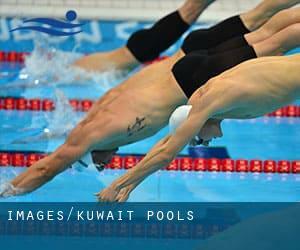 Swimia.com demands your feedback on Aquagym in Kuwait to ensure all the information about swimming in Kuwait is valid. Before trying any pool, make sure you know the rules and regulations for Kuwait Pools as they may not be the same as inside your house town. We advocate you get in touch with the pool directly to ask if you will will need a hat, and what type of footwear or distinct clothing you will need. The best choice during your visit to Kuwait might be droping by a Kuwait Swimming Pool. 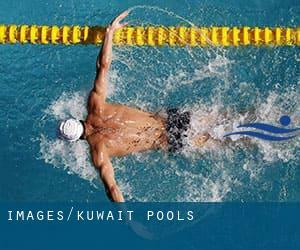 Most with the Kuwait Pools offer both open lanes for independent swimming and also guided activities like water aerobics or Aquabike. We probably do not know all the Pools in Kuwait. Are you missing any? Contact us!. There are many reasons why it is best to choose a heated swimming pool in Kuwait. One of the most significant one relies on the importance of keeping the body temperature stable. When the water is too cold, your body will try to warm it up and you will shed strength to swim properly. Enjoy the best indoor pools in Kuwait and don't worry about the weather. These facilities are open all seasons and you can enjoy a swim at the same temperature every day of the year. Holding an estimated population of 86.525, Al Farwānīyah is among the most important cities in Kuwait. Check all of the Swimming Pool in Al Farwānīyah and its surrounding region. Whereas Kuwait City is one of the six most populous cities in Kuwait with nearly 60.064 residents, you shouldn't miss that one if you're going to Kuwait. Without a shadow of a doubt, swimming in Al Faḩāḩīl is the finest solution to unwind following work. Take a couple of minutes to browse Swimia's catalog to find a Swimming Pool in Al Faḩāḩīl. Let us tell you a secret to switch off when you are in Ar Riqqah: just select a Swimming Pool in Ar Riqqah and plunge into the water! There's no far more effective system. Block 1 , Mishrif . Swimmers like you have reported Olympic size, 8 lanes, Indoors. Also, you will find 25 meters, Indoors. Just in case you wish to get in touch with this Pool before dropping by, we only know the phone number.